Tibetan Singing bowls are used for meditation and relaxation or simply for music. You place the singing bowl in your hand, or on a small pillow or soft floor and slowly rub the included striking stick along the outside of the bowl. It will gradually begin to sing, and the volume can be controlled by the user – rub softly for low volume, rub harder for higher volume. You may also strike the outside of the bowl first and then start rubbing the outside. 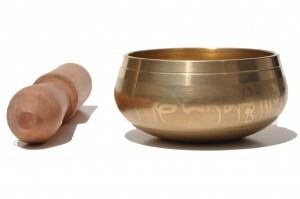 Singing bowls were historically made throughout Nepal, China and Japan. They are closely related to decorative bells made from the Near East to Western Asia. Today they are made in Nepal, India, Japan, China and Korea.